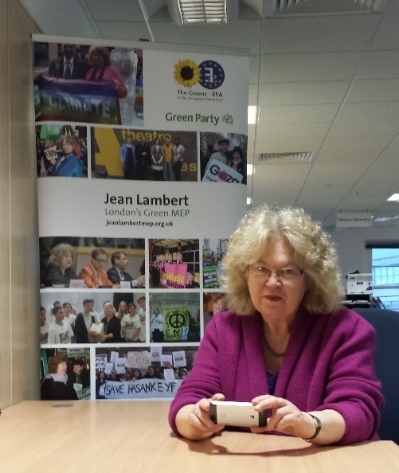 Jean Lambert, Green MEP said the decision to exclude fracking from EU level regulation was ‘a lost opportunity’. The updated legislation on environmental impact assessments (EIAs) fails to make them compulsory for shale gas extraction projects and exploration involving fracking. Greens voted against the revised rules which could see more fracking projects being bulldozed through without a basic standard of assessment of their impact and public participation in the process, as required by EIAs. “These new rules are a missed opportunity. They do not go far enough to protect the public from the risks of fracking, and will not halt the speedy dash for shale gas by many governments across Europe. “Greens believe there is enough evidence to ban fracking in Europe, as they have done in France or Bulgaria, but making an environmental impact assessment compulsory should be the absolute minimum standard expected. “The objections to fracking cannot be simply ignored. There’s the risk of toxic chemicals contaminating our water supplies, the air pollution, the effect on our environment of thousands of wells, the huge quantities of water consumed, and the climate change impact of our continued reliance on dirty gas. “It beggars belief that there is a threat of fracking sites popping up across London, with the government already granting licenses for exploration in Croydon and Lambeth. Mayor Boris Johnson said he would leave ‘no stone unturned, or unfracked’ if reserves of shale gas are found in our most densely populated city. The Mayor should instead be throwing his weight behind energy efficient housing and renewables which would benefit communities, not big businesses. “We need to halt fracking and properly assess the risks instead of offering bribes to councils to press ahead. This entry was posted in National News and tagged ban fracking in Europe, clean green energy, fracking, Green MEP, Jean Lambert, Mayor Boris Johnson by tamesidegreens. Bookmark the permalink.